Caroline Gavin is a Christian Business Coach, Speaker, Author and Radio Host. Having found eternal victory in Christ, she overcame the dark depths of depression and the near-death of an eating disorder. Her joy now is sharing this joy in Jesus. She is passionate about leveraging pain points as power points in business and in life. As a Christian Business Coach and the Founder of Purposeful Pathway Business Coaching, she helps faith-based entrepreneurs pave their vocational paths, live with purpose and walk with God’s way. With years of experience in the financial and real estate industries, Caroline blends her passion for God, her financial expertise and her business acumen to create phenomenal results for her clients. She helps them to attract their ideal clients, powerfully package services and systematize efforts so they can enjoy fun, fruitful and profitable businesses. Caroline offers a variety of Heart-Centered Business Coaching programs, each incorporating the 7-Step Live-on-P.U.R.P.O.S.E. Process™. Refresh with her poetry and glean practical wisdom from her Biz Tips on the Purposeful Pathway Blog. 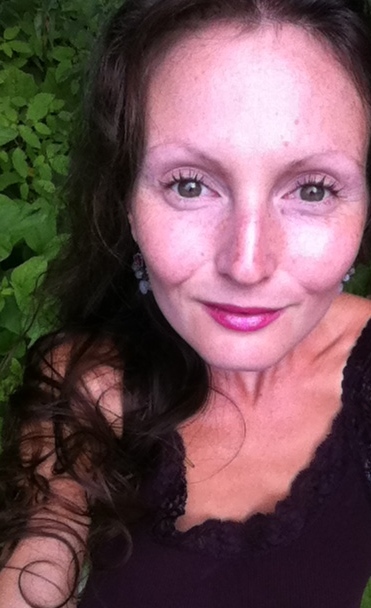 Connect with Caroline on Google+ and Facebook and listen to her shows on Purposeful Pathway Radio. Contact her via caroline@purposefulpathway.com for a free Christian Business Coaching Consultation. 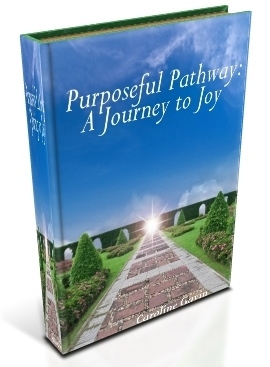 You can also enjoy free resources such as the 7-week transformational Journey to Joy (register on the right) and the 21-Day Attract Clients NOW Challenge here on the Purposeful Pathway web site. Caroline delights in her purposeful pathway of helping others to pave pathways of purpose, peace and passion for God’s glory! Terry Pope of North Carolina shares: “It is with a great deal of pleasure that I write this brief recommendation for Caroline Gavin! She is one of the most talented & gifted writers that I have ever encountered in my career! As an accomplished author, Caroline has unique insight into every day challengers that her readers encounter in their daily life and spiritual walk! Due to her intellect and versatile skills, she encourages and motivates her readers to new levels of spiritual growth on a daily basis! Caroline has a large daily following on FB, radio, and a readership that commands respect and great credibility! Her ability to write in an inspiring manner makes her poems very creative and delivers the gospel message of love, forgiveness and hope! I’m honored to call her a friend and adviser! Caroline’s star will continue to rise as God uses her to reach people for His Kingdom! May God continue to richly bless her and the ministry of His Son, Jesus Christ! Eager to transform both your business and your life on this Purposeful Pathway? Contact Caroline at caroline@purposefulpathway.com today! You are a great friend but, most importantly, you are my sister in Christ for which I am truly grateful. I love you and your children and will continue to pray for you while you are on this journey. Such a blessing you are, Erin, to me and to my family! I am praying for you and yours, my cherished sister and friend in Christ. May your journey, your Purposeful Pathway, be one of joy! What a wonderful way of encouraging people and to bring them closer to Christ! You are truly an inspiration to others. So many need a helping hand at times…it’s nice to know that you care enough to guide them along. May God always bless you on this pathway that you’ve chosen! Thank you so much!! I am honored to serve and to share. God bless you abundantly! Caroline, thank you for following your purpose in God and sharing your gifts and experience to give others a hand up in discovering their purposes. I would love to connect with you about an exciting opportunity to expand what you do and join what I am currently working on in helping people not only discover their purpose but actually live it out. I’m sending you a message through Facebook rather than post my email here. Keith, thank you so very much for reaching out to me! Truly it is an honor and a blessing to serve others and my Heavenly Father. I am grateful to now help others discern and live out their callings. How powerful and humbling it is to watch transformation and fulfillment occur before my eyes, and all by the grace and power of God. My prayer is that God will continue to use me to bring others closer to Him and to glorify His Name. I have great vision for Purposeful Pathway. I am amazed by the impact this mission has already made in lives. It is clear to me that God wants me to do much with this ministry. I will remain faithful to this vision for Purposeful Pathway, but I do look forward to reading your message. I am grateful that, in different manners and with our unique talents, we co-labor in our cherished Christ! I extend my gratitude to you again, Keith, and may God bless you and your ministry! My Dear Caroline as you follow the plan that our Lord has for you may you feel his presence as you move in his will and also his guidance as you proceed to fulfill his plan for your life. As purpose driven people that we are, may you learn and see each dimension of his purpose for your life. Nothing is so pleasant as having the assurance that we are walking in his perfect will. God bless you my Dear as you live your life for him and allow him to guide you by his Holy Spirit. My Dear Keith, such a Blessing you are to me – and to many others! Thank you for your wonderful encouragement to me. I am so thankful to co-labor in Christ with you! Yes, we are driven by purpose – the Purpose of the Eternal One. How sweet it is to be aligned with God’s holy, perfect and divine will. May He continue to bless you, may Jesus abide in you, may the Spirit lead you! Where to begin? Caroline is one of my biggest inspirations in my life. She is an amazing person, coach, mother, leader and friend. I don’t remember how long I’ve actually known Caroline but if we met for coffee, I am sure it would be like we’ve known each other forever. God always bless, love and hold you tightly, Caroline. Much love. A tremendous blessing you are to me, Alexander! The Lord’s love and light shine radiantly through you! I thank Him for our treasured friendship; I praise Him for the gift you are. May He bless you immeasurably, embrace you tightly and shine His light upon your purposeful pathway. Much love always!